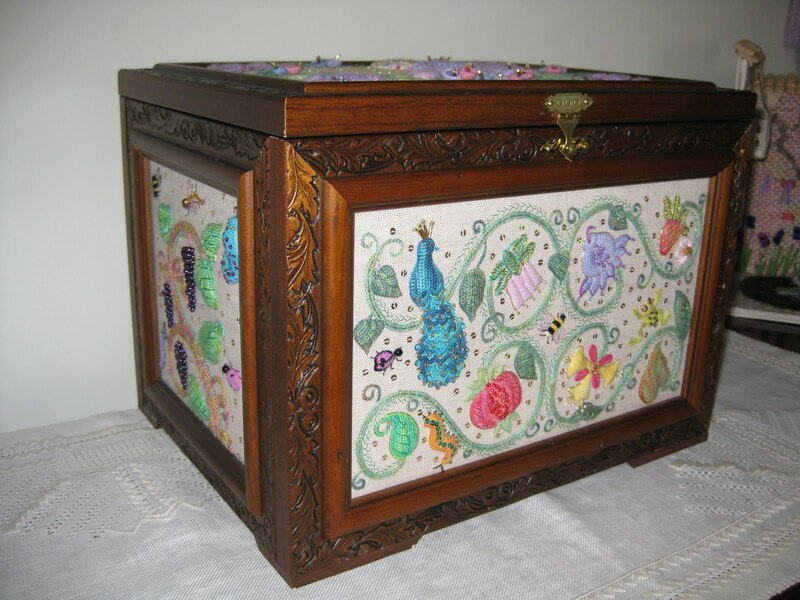 I designed this chest in the Elizabethan tecnique which I have studied for several years. I received an award for it in a local Guild exhibition in 2009. I have been a tutor for about 19 of the 22 years in the Guild, tutoring Elizabethan & stumpwork among many other tecniques.